Danny and Stefanie enter their wedding reception to the tune of Icona Pop, "I Love It." And they did indeed love it. Danny and Stefanie walk down the aisle after saying "I Do" at their wedding at Coasterra on San Diego Bay. 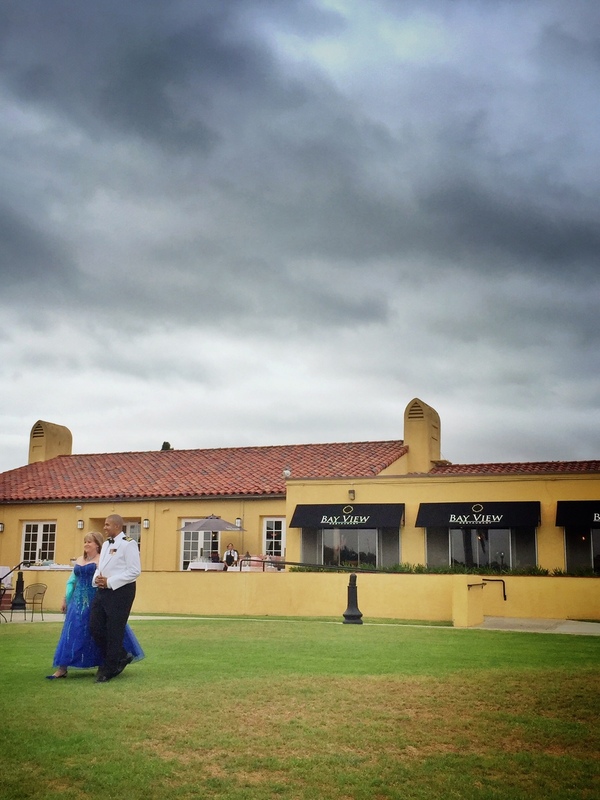 One of San Diego's newest event venues in 2016 is nestled at one end of Harbor Island, on the shore of San Diego Bay. The prime location, with its waterfront view of the downtown skyline, is making it one of the most desired spots for a San Diego wedding. Danny and Stefanie are one of the first in a handful of couples who celebrated and partied in the venues inaugural year. It was an honor for me to be a part of their amazing dance party. I felt I was a bit of a kindred spirit to the two of them, as they met at work and started dating while keeping things "hush hush" among co-workers. This is essentially how my wife and I started out more than a decade ago (first co-workers, then a couple, now married). While many think working and living together is not possible, we made it work and I know Danny and Stefanie will too. Here's a look at their setlist and special dance songs. Greg and Jessica's wedding ceremony at the Bali Hai Restaurant in San Diego. Greg and Jessica have one of those cinema like starts to a relationship, but there’s is all real. Meeting in a Texas bar while Greg was on a trip to the state, and staying in touch after, they fell in love, Jessica moved to California and the rest is history. They celebrated with friends and family at the Bali Hai Restaurant in San Diego on July 30, 2016. This party kicked off with a special dance to get the crowd hyped up, followed by dinner and dancing. And what a great dance party it was … here’s the setlist. Justin and Desiree’s summer time wedding celebration took place at the Hilton San Diego Bayfront, located along San Diego Bay. The night kicked off with an incredible choreographed routine by the entire wedding party, complete with Chuck Taylor kicks and sunglasses. The rest of the evening was filled with good times, good dancing and a very heavily hip-hop influenced Money Dance. And a boba bar, yes I repeat, a boba bar.